We are YOUR Wedding DJ choice for Edinburgh! We have performed at many venues over the years in Edinburgh. With Fresh Entertainments, wedding DJ Edinburgh, you are safe in the knowledge that you are in the hands of wedding specialists. We are wedding experts and invest in top of the range equipment and training. We attend many courses throughout the year to enhance our service and entertainment to ensure we leave you with happy and fun memories of your wedding entertainment! by We are one of the few wedding DJ entertainment companies in Scotland to have ever been nominated for two VOWS awards. * A pre wedding meeting with our events co-ordinator to discuss your vision for your entertainment. A further meeting with your entertainer is also included. * A signed contract for peace of mind. * An online planner to assist you in the planning of your music and entertainment timeline. * A professional, experienced wedding DJ. * The best sound and lighting equipment. * A FUN, MEMORABLE & UNIQUE wedding experience. 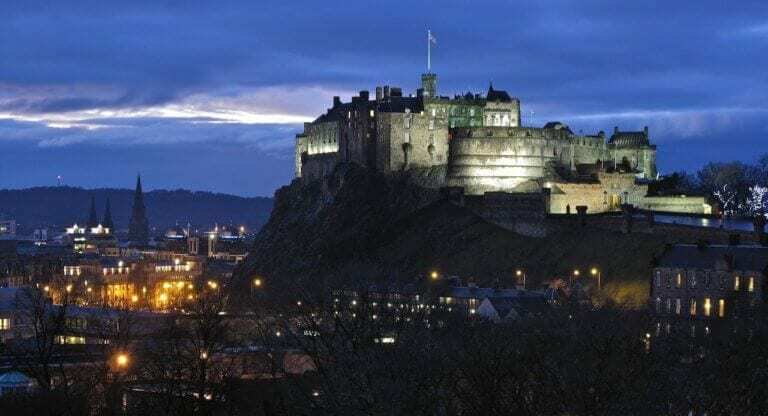 Edinburgh Corn Exchange, The Caves, Surgeons Hall, Edinburgh Castle, The George Hotel, Prestonfield House, Hopetoun House Hotel, Murrayfield Stadium, Assembly Rooms of Edinburgh, Dynamic Earth, Winton House …. and many more!